We happily announce to you the draw (#1002) of the MICRO-SOFT SUPER SORTEO on-line Sweepstakes program held on 25Th March, 2007. 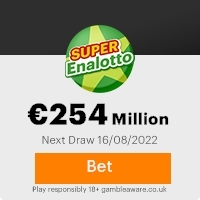 Your e-mail address attached to ticket number: 56475600545 188 with Serial number 5368/02 drew the lucky numbers: 03-09-13-35-43-45(bonus no.08), which subsequently won the lottery in the 2Nd category i.e. match 5 plus bonus. Previous: YOUR EMAIL HAS BEEN SELECTED!! !Fresh ScamsNext: YOUR EMAIL HAS BEEN SELECTED!!! This Email with the Subject "YOUR EMAIL HAS BEEN SELECTED!!!" was received in one of Scamdex's honeypot email accounts on Mon, 30 Apr 2007 12:14:31 -0700 and has been classified as a Generic Scam Email. The sender shows as info@oesulmo.orangehome.co.uk, although that address was probably spoofed. We recommend that you do not attempt to contact any persons or organizations referenced in this email, as you may expose yourself to scammers and, at the very least, you will be added to their email address lists for spam purposes.